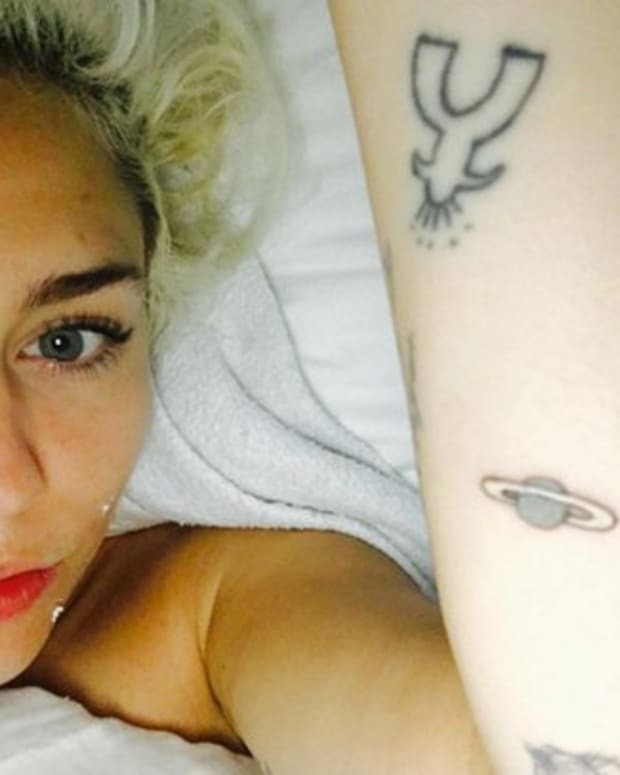 Miley Cyrus&apos;s tattoo collection is growing yet again! 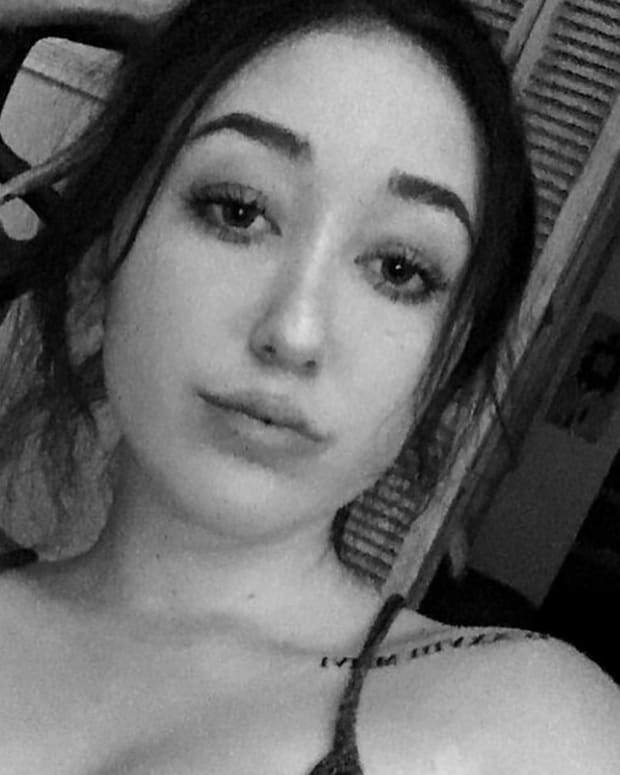 Hollywood&apos;s young rebel paid a visit to one of her favorite artists, Dr. 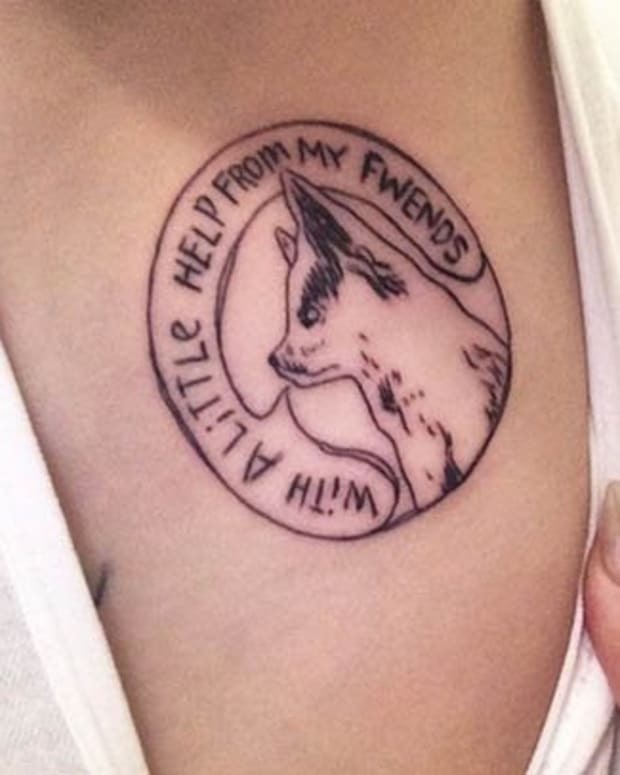 Woo, over the weekend and got another black-and-grey tiny tattoo on her upper left arm. The tattoo is of a Vegemite jar—one of Australia&apos;s most praised spreads and also one of its least tasty (to non-Ozzies). 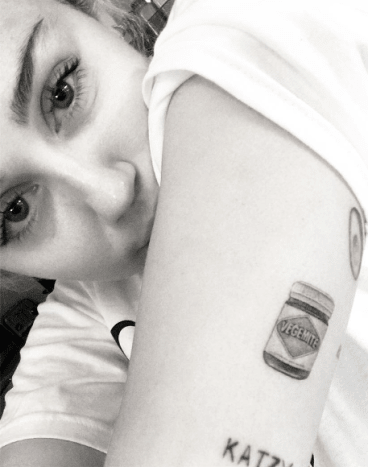 The Shamrock Social Club artist posted a photo of Cyrus&apos;s tattoo with the caption, "@mileycyrus don&apos;t play when it comes to #vegemite#halfneedle." 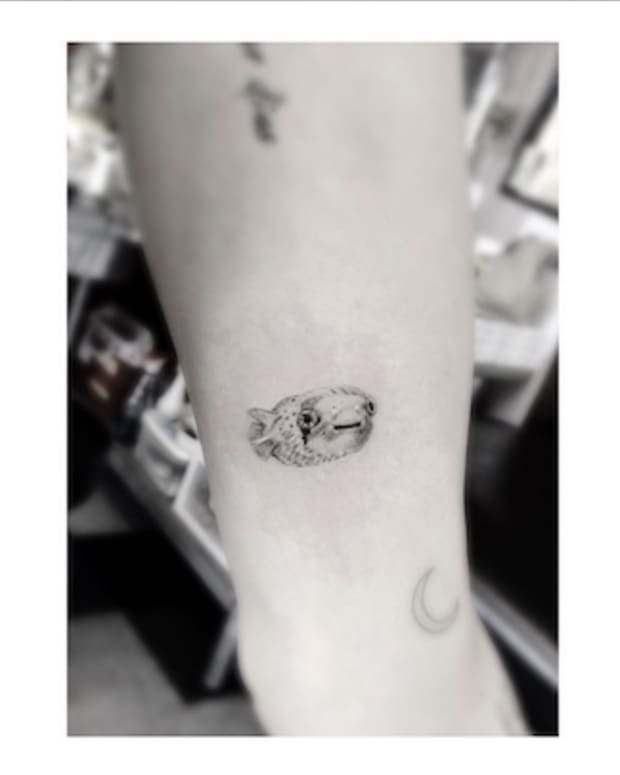 The 23-year-old has yet to post a photo of the ink. As you may or may not know, Cyrus&apos;s fiancé, Liam Hemsworth, is from Melbourne, Australia. 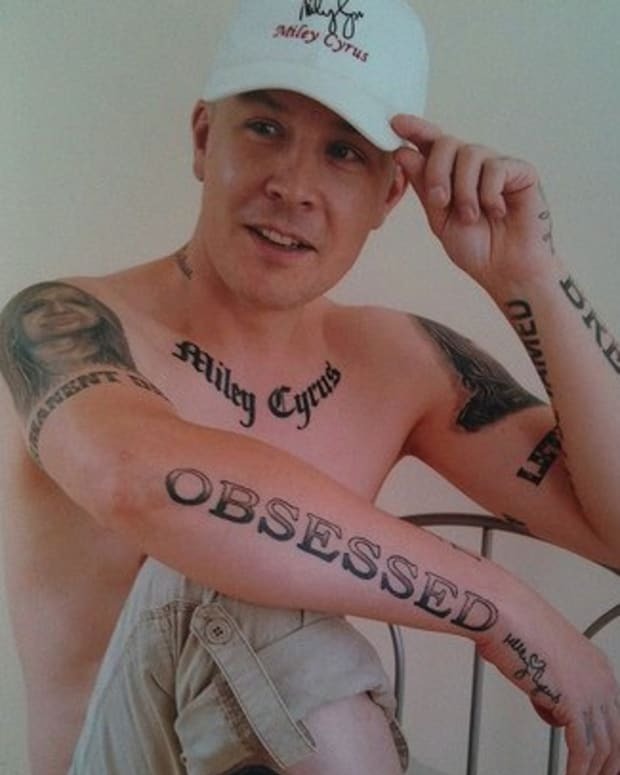 Of course, the world has assumed her new ink is for him. They&apos;re probably right. Back in June, Hemsworth admitted to Australian publication, Sunday Style, that Vegemite was one of his favorite snacks growing up. "After-school Milo and Vegemite toast. I lived on it," he said in the interview. Milo is a chocolate powder used to make hot chocolate or chocolate milk. Vegemite toast is simply bland and dry. But Australian natives love it, vegans can eat it, Miley is a vegan who loves an Australian—a Vegemite tattoo is a perfect fit for the pop star. Vegemite can be purchased in the States because Amazon is alive and well. To avoid hating the spread like most first-timers, we&apos;ve rounded up a handful of delicious Vegemite recipes below. We hope you like cheese. Enjoy. Miley showing off her brand new ink in a picture from Dr. Woo&apos;s Instagram.